A social care provider is celebrating after two of its services – a rehabilitation team and a care home – both received 100% ‘Good’ reports from UK’s health watchdog. 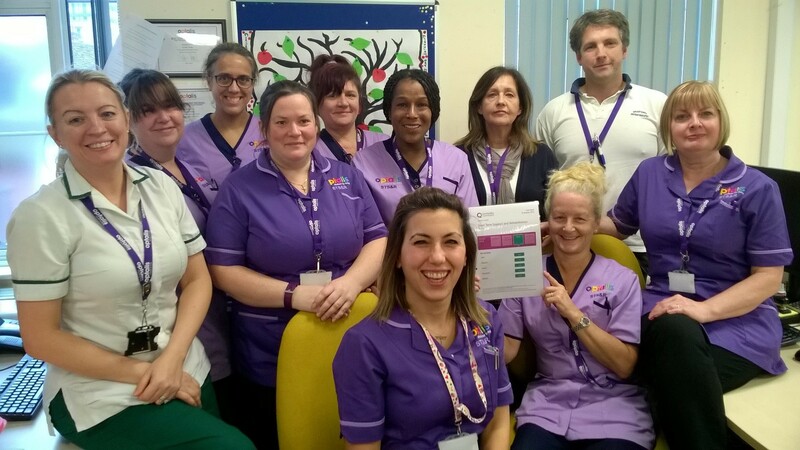 The Optalis support and rehabilitation team, who provide short-term care and support to people in their own homes across the Windsor and Maidenhead area, was rated as ‘Good’ in all five categories of the CQC report, published on the 8 January. Delivering support to around 30 to 40 adults per month, the service provides personal care and rehabilitation on a short-term basis to customers recovering following a hospital stay, ensuring they are able to get back to leading an independent life as soon as possible. In the report, the CQC said: “People were supported and treated with dignity and respect; and involved as partners in their care. The report added that people’s needs were met through good organisation and delivery of care. “Some people had very complex needs, and staff recognised the need for alternative methods of communication with them. In addition, 5 Winston Court, a care home run by Optalis in Maidenhead also received a 100% ‘Good’ report, which was published in December. The 8-bed home provides residential care for young and old adults who have a physical and/or learning disability. Assistant Director of Provider Services at Optalis, Helen Woodland, who is responsible for both services, commented: “Congratulations to the teams on their 100% positive results. Their dedication and motivation has ensured that they are delivering truly person centred care and support. Four Optalis’ services that were inspected by CQC teams over the last six months have been rated as “Good”, and three of them have improved from ‘Requiring Improvement’, successfully delivering part of Optalis’ strategy to improve the quality of care and support provided across the organisation. Optalis now has 100% ‘Good’ scores in the key categories of Caring, Responsive and Well Led in all of its CQC reports. The CQC is the independent regulator of health and adult social care in England. They ensure health and social care services provide people with safe, effective, compassionate, high-quality care and encourage care services to improve.